Candy Corn, a new independent horror film set at a Halloween Fall festival has just been announced, to begin production in 2017. 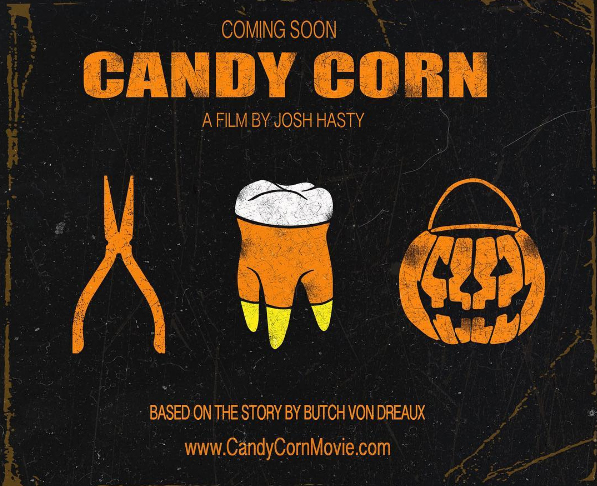 According to the official press release (via Rue Morgue), Candy Corn is an upcoming treat for horror fans, based on a short story by Butch Von Dreaux of Butchovision. The film is written and directed by Josh Hasty, who most recently helmed the documentary In Hell Everybody Loves Popcorn: The Making of 31 (which is available with DVD/Blu-ray release of Rob Zombie’s 31) and previously directed the Halloween-themed throwback Honeyspider. The official synopsis: “It’s 1982 in the quaint town of Grove Hill, Ohio, and things are more lively than usual as the annual fall festival comes to town. Local outcast Julien Cummings has finally found his calling as the toothless boy-giant in the carnival’s main event, Dr. Death’s Side Show Spook House Spectacular. Unfortunately for Julien, some of the people of Grove Hill have different plans for him on opening night of the big event. Candy Corn is scheduled to begin production in the spring of 2017.